If you like to do fun crafts with your kids then you need to check out Green Kids Crafts. Green Kid Crafts is a mom-owned, green company that uses only safe, natural and sustainable materials. Founded by Penny Bauder, a mom of two and an environmental activist from Alaska, Green Kid Crafts is certified carbon neutral, Green America Approved, a member of 1% for the Planet, and has won numerous awards and designations for its responsible business practices. Every purchase you make with Green Kid Crafts supports sustainable business, and a portion of each sale is donated to environmental organizations. You can also read more about our “eco ingredients” online. Green Kid Crafts delights kids and their parents with fun, creative and earth-friendly craft activities, delivered right to their door! Every month’s Discovery Box is packed with three unique and engaging activity kits designed to foster a child’s creativity and confidence while developing their respect and love for the environment. Appropriate for ages 3-8, our projects are reviewed by experts to align with our Happy & Healthy Child principles, and kid tested and parent approved for fun. Each month brings a new theme relating to nature or the environment; past themes have included I Love Bugs, Outer Space, and Feathered Friends. In addition to the materials and instructions for the three craft activities, each Discovery Box includes a Discover More guide which provides more craft ideas using materials found around the house, related reading and other fun facts all related to that month’s theme. Subscriptions are available in month-to-month, 3, 6 and 12 month durations, and also make great gifts! The monthly subscription cost is $19.50 and includes shipping. Order at www.greenkidcrafts.com. I received the November food adventure box. For November's Discovery Box, Green Kid Crafts partnered with Purple Asparagus, a nonprofit educating children, families and the community about eating that's good for the body and the planet, to create a "Food Adventures" themed box with crafts celebrating healthy eating. Craft projects include making a fish game (from recycled felt), growing organic basil and alfalfa sprout gardens, and making a set of rainbow tile coasters. In addition, Green Kid Crafts has partnered with Mambo Sprouts and some of our favorite natural food companies like Annie's, Stonyfield, Mary's Gone Crackers and Immaculate Baking to include samples and exclusive coupons for free healthy snacks -- a $20+ value! This is everything I received in the kit. Each project is separate and Brendan choose to make the Tile Coasters first. 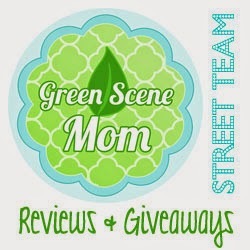 From now until 12/15, take 15% off your entire order at GreenKidCrafts.com with the code BLOGGY. Green Kid Crafts has something for every kid on your holiday list, from Gift Subscriptions that keep the creativity going well into the New Year, to Holiday Ornament Kits. Check out our favorite Holiday Gifts here.